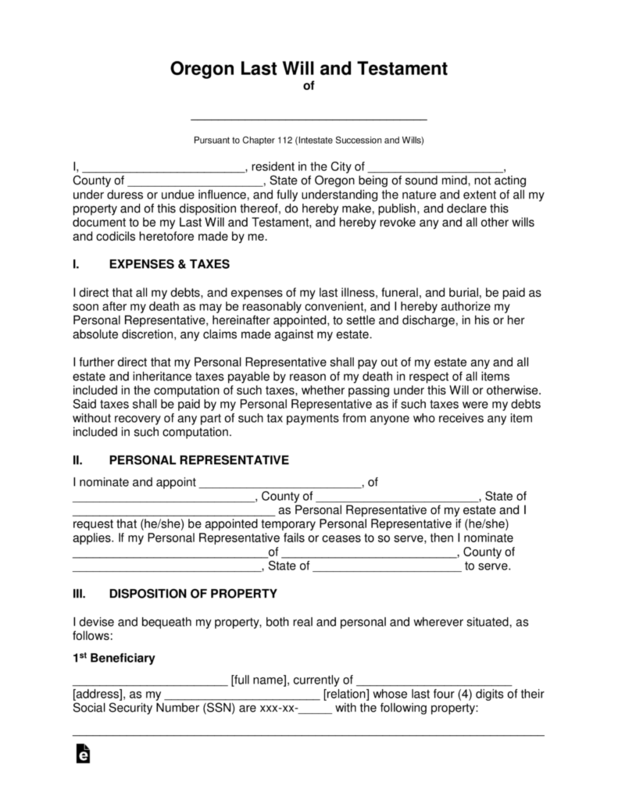 The Oregon Last Will and Testament is considered a legal document whereas a testator will have the ability to set into writing, how they would choose to have their property distributed to their chosen beneficiaries upon their death. Some of the most important items for distribution may be, life insurance policies, digital property, real estate, personal property and/or fiduciary assets. Any of these items would be included for distribution to spouse, children, friends, even charities and/or one of many institutions or research organizations. The document will require notarization and the signatures of two separate witnesses. The testator may also change or revoke the document at their discretion at any time. 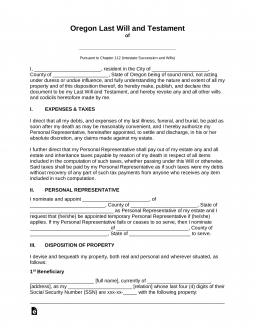 Signing (ORS 112.235) – Must be signed by Two (2) Witnesses who shall see the Testator sign the will. The Testator must review the information pertaining to how their property is distributed in the event any of the beneficiaries might predecease the testator. Step 7 – Notarization – Once the notary public has witnessed all signatures they shall be required to complete the remainder of the document and authenticate it by affixing the state seal.